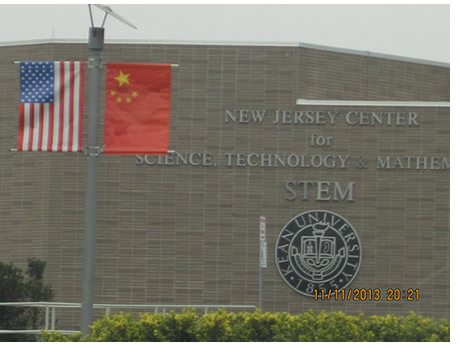 UNION, NJ — At least two of the thirty staff job postings on Kean University’s Wenzhou website include a preference for Chinese Communist Party members. It is advertising to fill thirty professional staff positions and multiple faculty positions at its campus in Wenzhou, China. At the same time, Kean University has informed the AFT local on campus that it is actively planning up to thirty additional professional staff layoffs in addition to the twelve it imposed over four years ago. Applicants for non-faculty openings at Wenzhou-Kean are also required to complete and submit the University’s application form. The form asks for the prospective employee’s photo, gender, birth date, nationality, birth place, marital status, height and politics status. Such hiring practices and criteria could be found illegal and discriminatory in the United States under Federal and State civil rights statutes. They also raise serious concerns about the existence of academic freedom at Wenzhou. Other U.S. based universities with campuses and academic partnerships in China seemingly do not prefer Communist Party membership in employment nor do they request information about an applicant’s personal information or political status. See for example recent job announcements for New York University’s Shanghai campus and Kansas’ Fort Hays State University China partnerships. The administration at Kean University, under the leadership of President Dawood Farahi, is no stranger to controversy. Farahi’s administration has been scarred by scandals surrounding the validity of the President’s own academic credentials, the near loss of the school’s Middle States accreditation, NCAA membership probation and the questionable use of public funds to purchase a $219,000 conference table from a manufacturer in Shanghai, China.